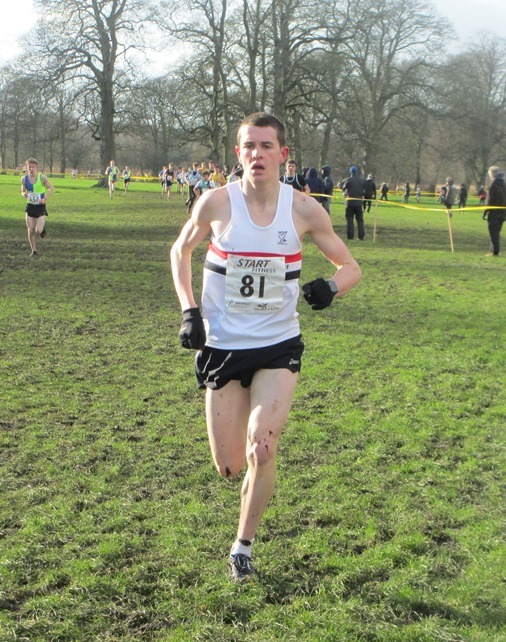 The Witton Park cross country course is difficult at the best of times but in ferocious weather conditions that changed even during races it was one decidedly only `only for the brave’. 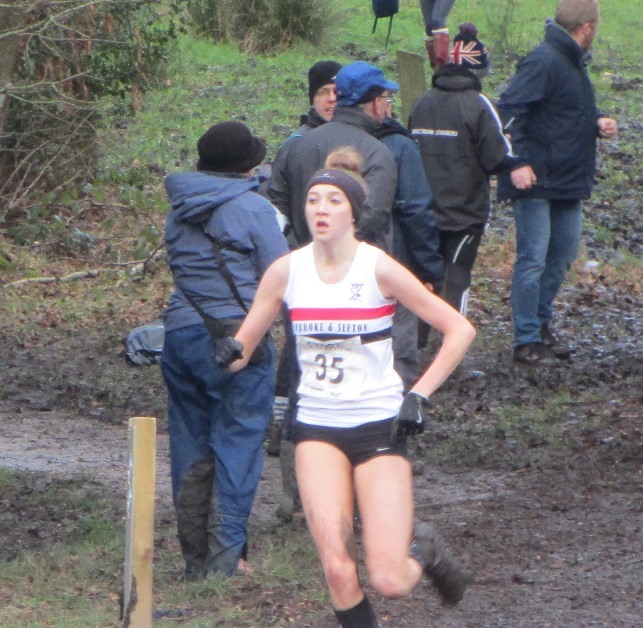 Nevertheless the Liverpool Pembroke Sefton club provided a clutch of runners that faced the challenge, notably Junior Rosie Johnson, who took on some powerful runners. Her natural flat speed was blunted by the fierce hills but she came through to a respectable fourth. She remains on course for a good year at the top level. In the same race Corinne Molyneux was a courageous 38th. After winning the previous year`s Under 15 race Dan Slater stepped up to the Under 17s as a possible medallist. His powerful running placed him well but he too had to yield to stronger opponents and was shy of a podium spot in fourth. Dan Jones continues to impress and will probably look at 22nd as just another step to even better things. Decimated across the board the only team result came from the U15 Boys. Ross Harrison(35) grew in stature with this performance and was chased by Adam Jones(39). Tom Dickenson(83) and Adam Lang(163) completed and the club was ninth. Elsewhere in the younger age groups at U13 Boys LPS had three finishers, Mark Roberts(96), Jake Dickenson(115) and Matthew Russo(130). 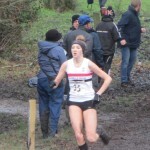 Fran Price(129) was a brave loner at U15 as was Flossie Dickenson(80) at U17. 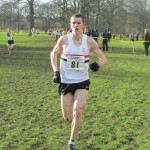 In the Under 20 men`s race Aaron Jarvis made a quietly understated run to finish 27th and emphasise his growing stature. James Loftus(43) struggled in the conditions but will gain confidence in even finishing that high in such conditions. At Senior level Sean Kirkbride(218) ran strongly with only Danny Gilbody(326) and Sammy Rashid(375) in support. Finally in the Senior Women`s race Vicky Jones(194) fought hard and one cannot help but be impressed at the dogged performance also of Julie Lang(328). Altogether loads of praise for those who committed themselves to this daunting task. While the harriers were toughing it out at the Northern Cross Country Championships the track and field fraternity were testing themselves indoors at the Sale Harriers Open meeting. The object was to chase improved performances. Probably the best result came from Harry Doran in the 600m who was up against the formidable Zac Curran of the Windsor club. Although losing out Harry posted an excellent 1.19.4, not his best but pretty satisfactory nonetheless. Similarly Jack Crook was on 1.27.36 just shy of his best also. There were plenty of sprinters testing themselves over 60m. In order of time they were Elliot Jones(7.36), Lauren Lewis(8.24), Emily Givens(8.41), Erin Birchall(8.58), Lucy Lemarinel(8.76), Alice Prescott(8.66) and Scarlet Whitfield(9.23). At 200m LPS had Ed Latimer(22.91), Ella Barton(27.12), Sam Latimer(27.57) Emma Givens(28.07), Alice Prescott(28.47) and Scarlet Whitfield(30.64). The High Jumpers were in fine form with Billy Williams(1.85m),Kai Finch(1.75m), Owen Southern(1.65m) and Sadie McNulty(1.45m). The long jumpers were Lauren Lewis(4.73m), Sadie McNulty(4.49m), Erin Birch(4.16m), Alice Prescott(4.14m), Scarlet Whitfield(3.86m) and Lucy Lemarinel(3.65m).